NTA has released notification regarding EWS Candidates & Normalization Process in UGC NET 2019 Exam. Download Notice from links given below…. There will be No Negative Marking in UGC NET Exam. NTA UGC NET June 2019 Exam will conduct under Online Mode. 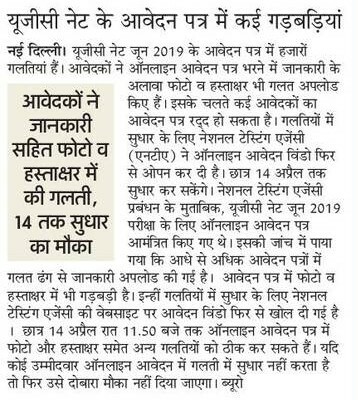 UGC NET Exam will conduct twice in a Year. Candidates can also give Mock test for UGC NET Exam. 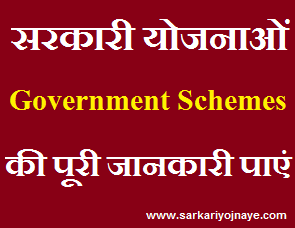 Get Full Details of New Pattern & Syllabus from link given below…..
On behalf of UGC, the National Testing Agency announces holding of the National Eligibility Test (NET) for determining the eligibility of Indian nationals for the Eligibility for Assistant Professor only or Junior Research Fellowship & Eligibility for Assistant Professor Both in Indian Universities and Colleges. NTA will conduct NET in 84 subjects at 91 selected NET Examination Cities spread across the country. The candidates who qualify for the award of Junior Research Fellowship are eligible to pursue research in the subject of their post-graduation or in a related subject and are also eligible for Assistant Professor. Junior Research Fellowship: Not more than 30 years as on 01.07.2018. A relaxation up to 5 years is provided to the candidates belonging to OBC (Non- creamy layer, as per the Central list of OBC available on website: www.ncbc.nic.in) SC/ST/PwD categories and to women applicants. Relaxation will also be provided to the candidates having research experience, limited to the period spent on research in the relevant/related subject of Post Graduation degree, subject to a maximum of 5 years, on production of a certificate from appropriate authority. Three years relaxation in age will be permissible to the candidates possessing L.L.M. Degree. Total age relaxation on the above ground(s) shall not exceed five years under any circumstances. Assistant Professor: : There is no upper age limit for applying for eligibility for Assistant Professor. Candidates who have secured at least 55% marks (without rounding off) in Master’s Degree OR equivalent examination from universities/institutions recognized by UGC in Humanities (including languages) and Social Science, Computer Science & Applications, Electronic Science etc. (list of subjects of post graduation attached at page No. 18 to 19) are eligible for this Test. The Other Backward Classes (OBC) belonging to non-creamy layer/Scheduled Caste(SC)/Scheduled Tribe(ST) / persons with disability (PWD) category candidates who have secured at least 50% marks (without rounding off) in Master’s degree or equivalent examination are eligible for this Test. The Ph.D. degree holders whose Master’s level examination had been completed by 19th September 1991(irrespective of date of declaration of result) shall be eligible for a relaxation of 5% in aggregate marks (i.e. from 55% to 50%) for appearing in NET. Candidates should have Relevant Mark sheets to fill Online Application Correctly. I am 39 years old .Can l submit the form of CBSE UGC NET.